Marchers chanted “Turn around!” and “Scabs!” at the substitute teachers, who have been hired by the Los Angeles Unified School District (LAUSD) to supervise students whose working parents may have no other option for child care in the day. 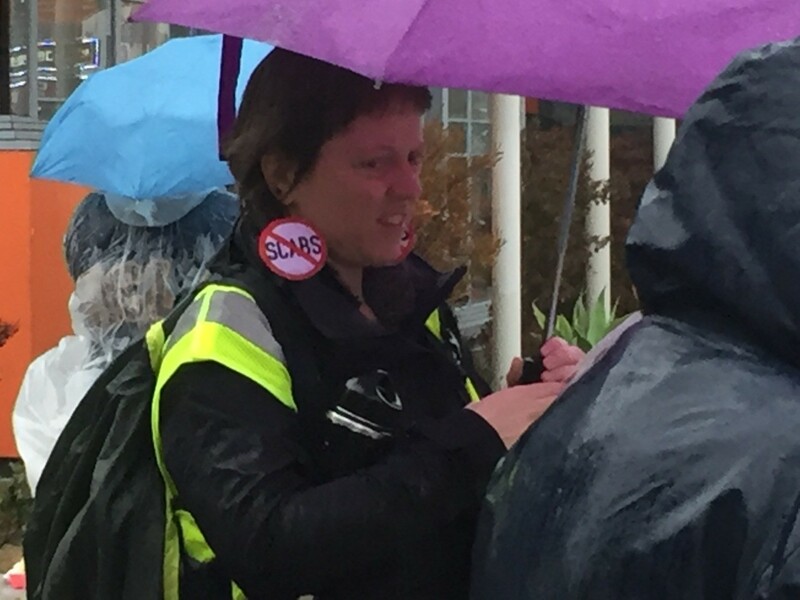 Police were on hand to make sure that the substitutes could proceed safely into the complex — though union activists attempted to dissuade drivers from entering, and tried to provide them with leaflets about the strike. 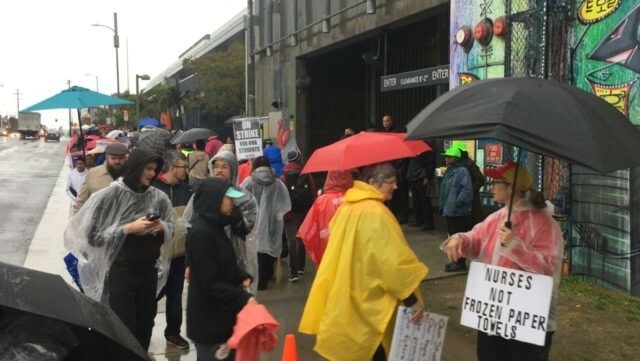 Turnout for the strike was very strong, as the union and its allies maintained three separate picket lines around the school complex despite heavy rain. Drivers passing by honked their horns in solidarity with the protests. In addition to members of the United Teachers Los Angeles (UTLA), members of the Service Employees International Union (SEIU) were present, along with members of the Democratic Socialists of America (DSA). Union members spoke politely with Breitbart News, though some marchers booed this reporter’s presence. One participant who spoke to Breitbart News confirmed that the strike is part of a national movement, “Red4Ed,” that has included strikes in multiple other states, such as West Virginia, Oklahoma, Arizona, and North Carolina. Union leaders and district leaders were scheduled to negotiate Thursday, though there was no sense that the strike was near an end. Teachers are holding out for a 6.5% raise, retroactive to last year; the district is offering 6% over the next two years. Teachers also want smaller class sizes, and additional nursing and support staff in schools. Broadly, the strike is also a test of the union’s political power after last year’s Janus v. AFSCME decision at the Supreme Court freed public sector employees from the obligation of paying dues to public sector unions, and after charter school advocates won two seats on the LAUSD school board in local elections in 2017.